The NFL Season Kicks Off… Who ya got? Home Featured Stories The NFL Season Kicks Off… Who ya got? 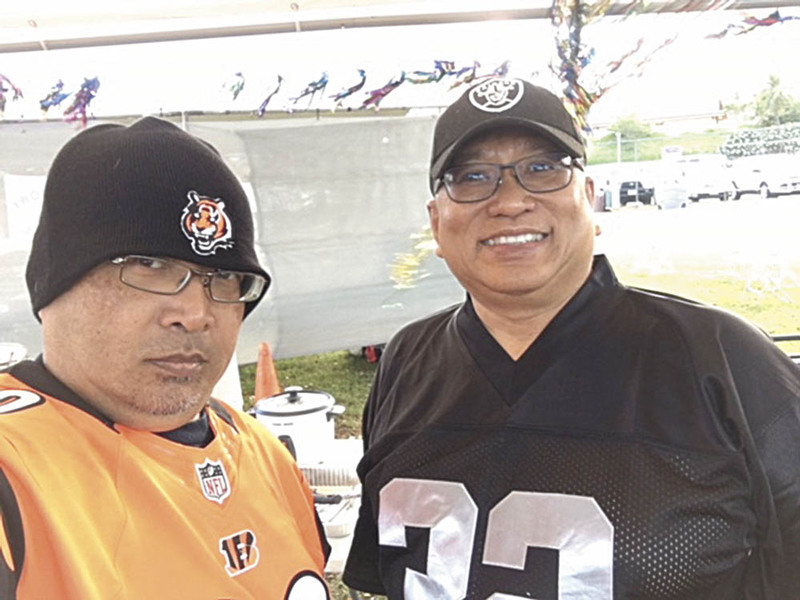 “Raider Nation, cough cough,” said Cincinnati Bengal fan, Gil Keith-Agaran (#whodey) as he mocks Alfredo Evangelista (#raidernation) in his vintage Marcus Allen 32 silver-and-black get-up. 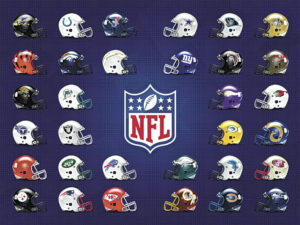 The National Football League (NFL) remains the American sports juggernaut. 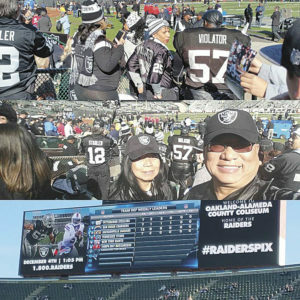 With only thirty-two NFL franchises, Hawai‘i is one of twenty-eight states without a professional football team (when the Raiders move to Las Vegas in 2020, there will be twenty-seven unless you count SinCity as the ninth island). So who do some well-known Maui people follow? Here’s what some of them say. Jovy Magbual (2nd from left) and fellow Philiadelphia Eagles fans watch the Eagles’ opening game against the Atlanta Falcons. Sharon Zalsos Banaag, Staunch Seattle Seahawks fan, Lynn Araki-Regan, New England Patriots long-time fan, along with Rowena Dagdag Andaya who swears by the Denver Broncos enjoy a day watching the Seahawks vs Patriots game on TV. 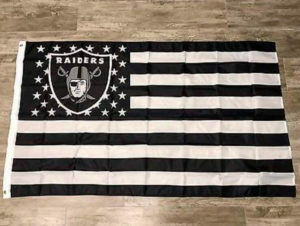 There are those who truly believe in a “Raider Nation” and that this nation will come in 2019! Does Lawrence Pascua, Art Director of the Fil-Am Voice feel sleighted he was not part of this article? “Surely not,” he said with a grunt. 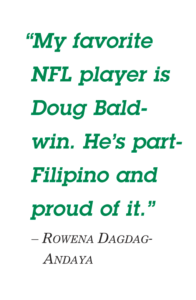 Pascua chose the Eagles to take home last season’s Superbowl as early as August of the previous year. This year, he’s back with his all-time favorite, the L.A. Rams as his pick to take home the Superbowl LIII victory in 2019. Editor’s Note: Nine Hawai‘i high school graduates made an NFL 53-man roster to start the season, with the New Orleans Saints having three players, including former Luna Mitchell Loewen.